Bus shelters in the village are located in each direction at Thundridge The Sow & Pigs PH, Wadesmill The Feathers Inn. High Cross White Horse PH, Colliers End Lamb & Flag. 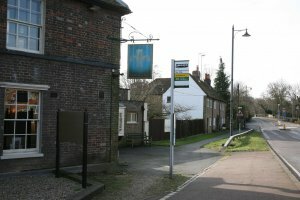 The bus shelters are maintained and managed by the Hertfordshire County Council.